There are two basic form of the milling machine. There is the original horizontal milling machine and there is the later vertical milling machine. 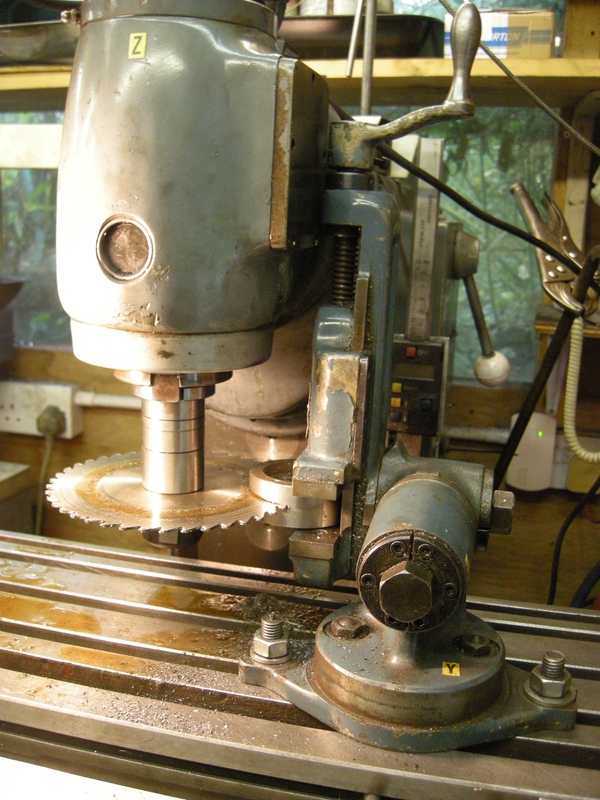 fig a horizontal milling machine fitted with a vertical head being used as a vertical machine. The tooling used on each of these machines is distinctly different. Consequently the types of jobs that can be done on each is also different. If the amateur had lots of money and lots of space he would probably have one of each sort. But that would be unusual. Most amateurs can only afford one and probably only has the space for one. In this case which is the one to get? This leads to the next question – given the user has one or the other is it possible to do this best done on either on the other sort? The answer to the first is undoubtedly a vertical milling machine. But whatever he has it is interesting to see how it can be used the other way. 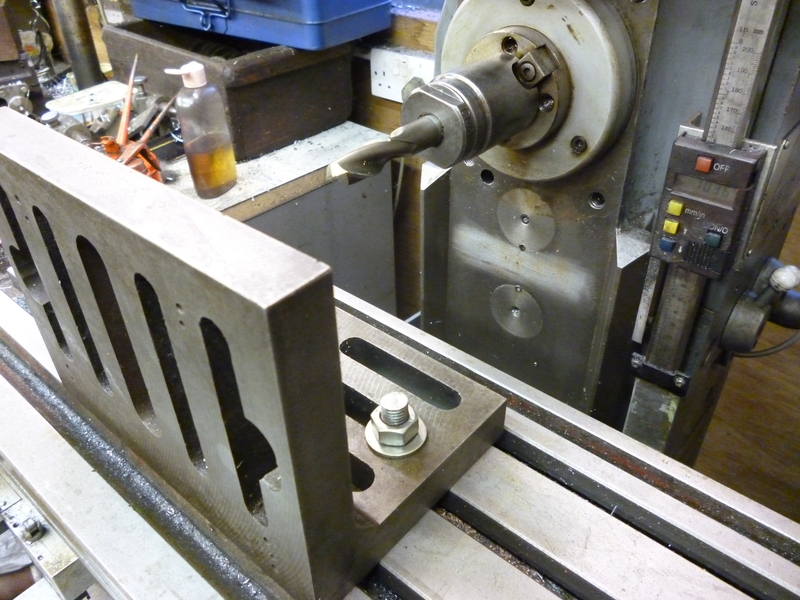 This is interesting because it is not only the only photo I have that counts as using a horizontal milling machine as a vertical one but because I have never had any need to use this setup. The problem with this setup is that it offers no benefits over using the vertical machine as a vertical machine. furthermore it has at least two distinct disadvantages. The first is that the workpiece has to be setup on a vertical surface. The second is that access and visibility are dramatically reduced. 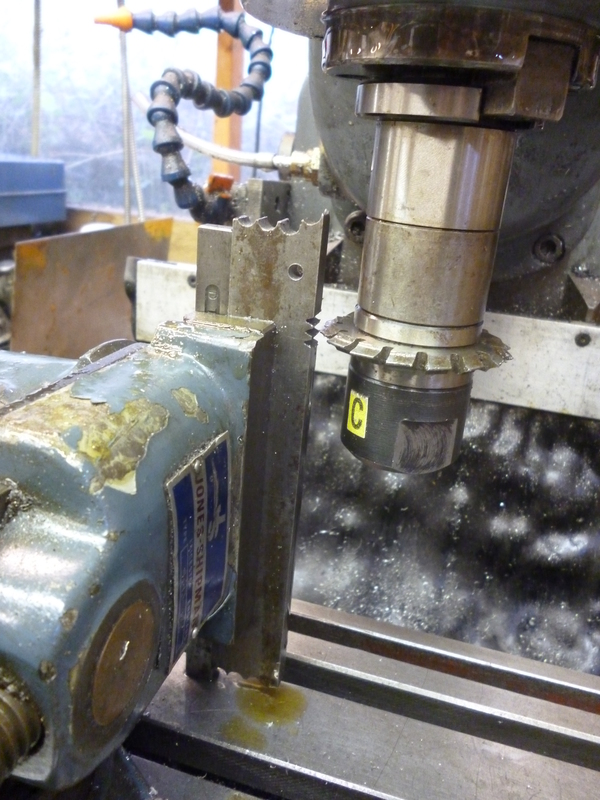 The most obvious way of using a vertical milling machine to do horizontal milling is by using a stub arbor. 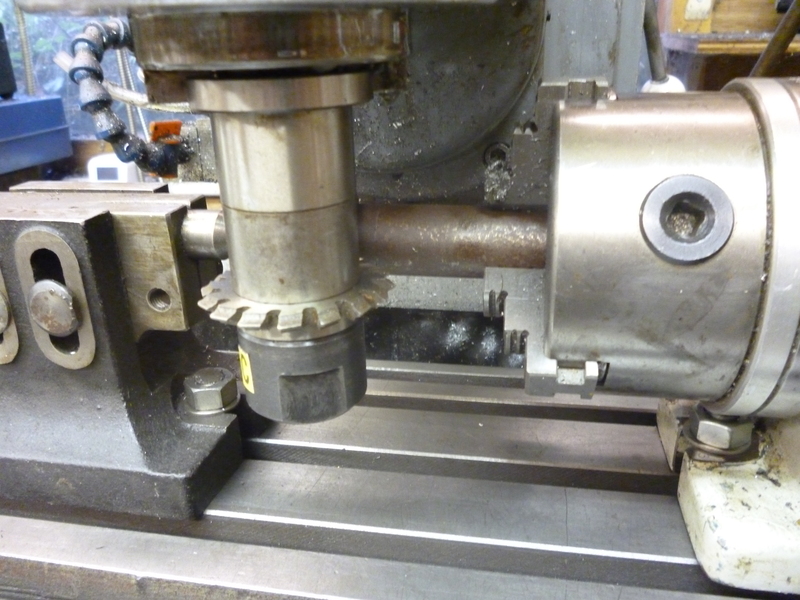 This configuration is often limited because the vice will clash with the vertical head. This can be avoided by having slitting saws of a larger than usual diameter. In all of the previous cases the limited length of the stub arbor can often be inconvenient. 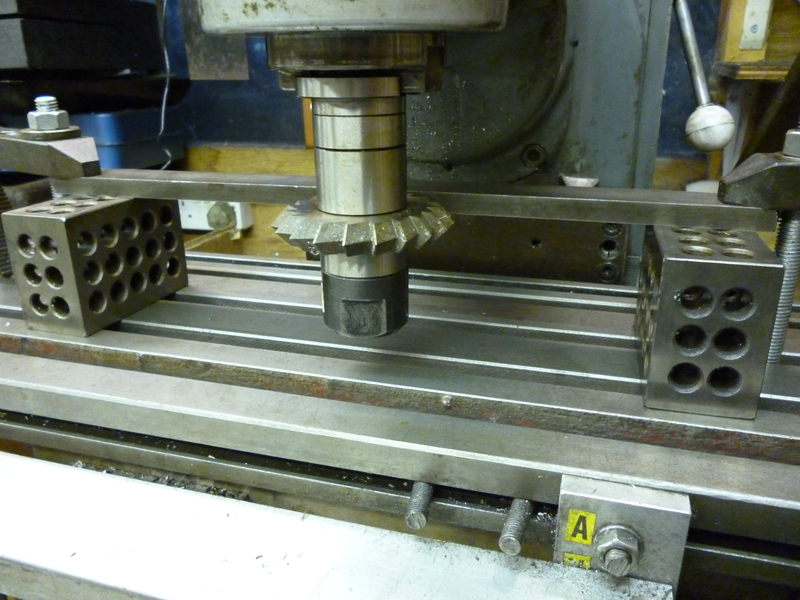 But, with a horizontal mill, there will be a much longer arbor for use when horizontal milling. This will be too long to use when the vertical head is vertical but if the vertical head is horizontal then it is possible to use it. It is not easy to support the far end but it is still possible to use this usefully. An example of this would be when cutting a rack. It is even possible with this setup to emulate a swivelling table by using a swivel vice as shown.